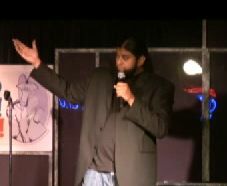 Azhar Usman quit his job as a Chicago attorney to become a stand-up comedian in early 2001 — months before the Sept. 11th attacks. In the years since, his American audiences have gained a better understanding of Muslims like him and what they deal with in airports. He says the main difference post-9/11 is that now they care about these topics.